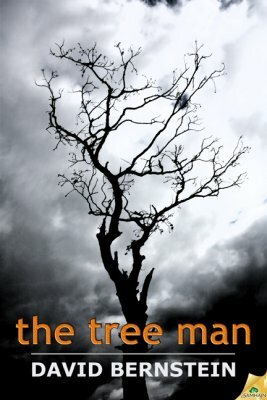 A tree gobbles up people in The Tree Man, a darkly humorous novella by David Bernstein. Young Evan accidentally spies a suspiciously spry old man feeding the tree a woman; the tree swallows her into its maw in one whole piece. Being a plucky 13-year-old, Evan decides to rid the world of such an abomination. Evan picks up his friend Pete, a chainsaw, some gasoline, and needless to say, it doesn’t go at all according to plan. Evan makes mistakes that have fatal consequences, and he has to live with them… at least for a while. It’s a classic setup: a kid learns there are supernatural horrors, and he fights them. And that’s about it; The Tree Man is no in-depth character study (any hints of such are mostly shrugged off to keep the plot moving), but a story that propels itself forward on a nice, bold premise and some brisk action. The approach wouldn’t be enough in a novel, but in a short, quick novella it rocks. To put it succinctly, The Tree Man reads like a fairy tale with chainsaws and shotguns. The story’s denouement could be straight out of EC Comics‘ Tales from the Crypt stories, with a gleeful twist that leaves the reader both shocked and chuckling. Available now as an ebook from Samhain Publishing. Visit the author’s blog!